The fascinating thing about different studies on the same subject is that they tend to deliver vastly different results. This leaves those who would benefit from such studies with the tricky task of deciding which results to use as a base from which to plot strategies and devise plans with a view to the future. For example, a very recent report by Pew Research, which is considered to be a very reputable and credible research organisation, revealed that search and email are the most popular online activities in the US (no word on European, Pan Pacific, South American and African audiences). In fact, the two are dead-even at 92%. According to the report, which provides figures for the past nine years, email and search have consistently led the way, by some margin. 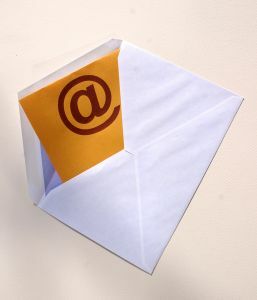 In 2002, email was the most popular online activity at 93%, while search was second at 85%. As the two most practical applications, this shouldn’t be surprising. Figures for social networking only became available in 2005, with an entry level of 11%. This year social networking stands at 65%. Not a bad rise for an almost entirely leisurely activity. When one looks at daily use, 61% of US citizens use email every day and 59% use search. Women email more than men, with 64% of women using email every day compared to 59% of men. The figures are almost exactly the opposite for search, with 61% of men using search every day and 57% of women. So the difference between gender isn’t all that great. Now let’s look at a couple of other studies. Just over a year ago, Nielsen, also a reputable and credible research and analytics organisation, found that US citizens spend approximately 25% of their time online social networking and blogging. By contrast, they spent only 8.3% of their time on email. Even online gaming topped email at 10.2%. In August 2007, Parks Associates found that online gaming was the most popular activity online. The firm found that 34% of US adults indulged in a spot of gaming at least once a week. Watching videos online came second (29%), followed by social networking (19%). There was no sign of email or search. Personally, I’m inclined to put more stock in Pew Research’s report than the other two. The reason being it makes more sense. Logically speaking, email and search ought to be the most popular activities, and there is no doubt that social networking is climbing. In the future we could see social networking possibly pipping email (I’m not entirely sure that it will though) but I don’t think that search will ever be overtaken. It’s what the net was designed for.